“They have killed the Istanbul I loved” – a plaintive cry from Turkish Nobel Prize-winning novelist Orhan Pamuk in an interview he gave recently to the Italian newspaper La Stampa. Apparently the poor guy can’t live there any more because his memories have been destroyed. But Orhan Pamuk likes to bark, especially in the cause of selling more books – a shameless self-publicist who has no scruples about running down his own country and people to further his own “literary” career. It’s an interesting exercise to follow interviews Pamuk has given to western journalists over the years, and to observe how his projected self-image has morphed according to his own self-seeking agenda. In the La Stampa interview he says he is “jealous of Western writers” as they are not constantly questioned about politics by interviewers. He claims he has been forced to answer politically charged questions and this has “turned him into a political writer.” This is the guy who, back in 2005, speaking to a Swiss journalist, said that “a million Armenians and 30,000 Kurds were killed in this country and I’m the only one who dares to talk about it”. Rubbing shoulders with ordinary Turks in his school days – NOT! Well, those are politically charged issues in Turkey, as Pamuk knew full well – and many Turks were of the opinion that he was making such statements with a view to attracting the attention of the Nobel Awards committee. It’s a well-known fact that novelists from developing countries unpopular in the West who criticise their own governments give themselves a head start in the race for Nobel honours. 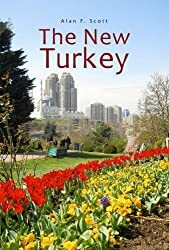 When Pamuk achieved his goal of Nobel literary honours in 2006, Turkey’s President at the time, Ahmet Necdet Sezer, broke with his normal practice of congratulating high achieving Turks, and refused to acknowledge his countryman’s Nobel Prize. It should also be noted that Sezer was not aligned with the current AK Party government, but held the presidency by appointment of an earlier secular republican Kemalist administration. In contrast, then, one of the images Pamuk likes to create for himself is that of a lone courageous voice calling his government to task for historical human rights abuses. He was charged, he loves to repeat, with treason for his outspoken support of Armenians and Kurds, and lived abroad in virtual exile for fear of incarceration or worse. What he omits to say is that the charges were brought by an ultra-nationalist private citizen, not the Turkish government, and were subsequently dropped. But the Western media love him – and that’s probably another reason to be suspicious.